Here’s my Christmas shopping recommendations for those looking to get started from scratch with the Raspberry Pi, and a few wishlist items for those who are already enamoured with it. If you’re a parent who wants a complete, guaranteed, no-tears present in a box, either of the following are ideal. The only extra thing you will need, is a TV or computer monitor that has a HDMI connection. If your monitor has a DVI port, you can buy a HDMI->DVI connector here, or if it’s a really old monitor with a VGA port you can buy a HDMI->VGA adapter here . If you have both DVI and VGA, but not HDMI, pick DVI. This is the best kit in my opinion, and has pretty much the best of everything. 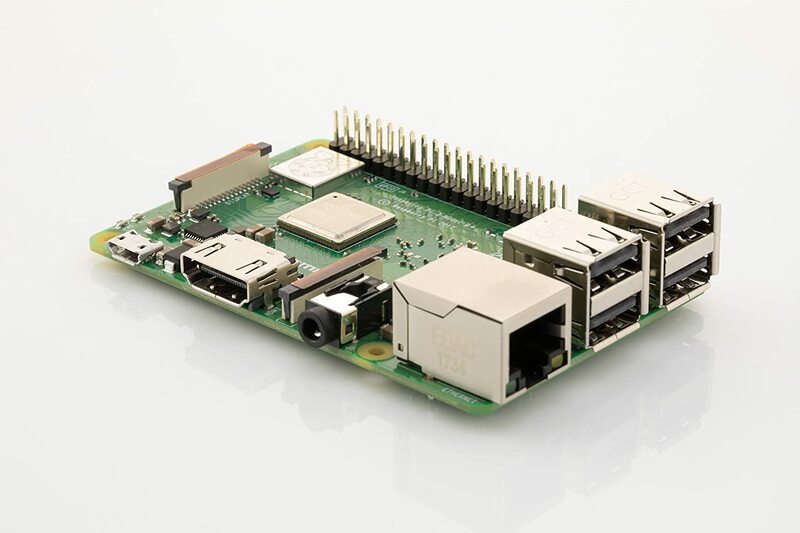 The latest version of the Raspberry Pi. The best case (Pibow Coupé). The excellent official mains power supply with UK, European and US fittings. A heatsink. A good Getting Started printed guide to read. An SD card ready to go. A mouse. An HDMI cable. A “Blinkt” add-on to allow you to program coloured lights. The only thing that could possibly be improved is the keyboard, but it’s good enough. If you’re completely new to the Pi, get this, you will be guaranteed to be happy. 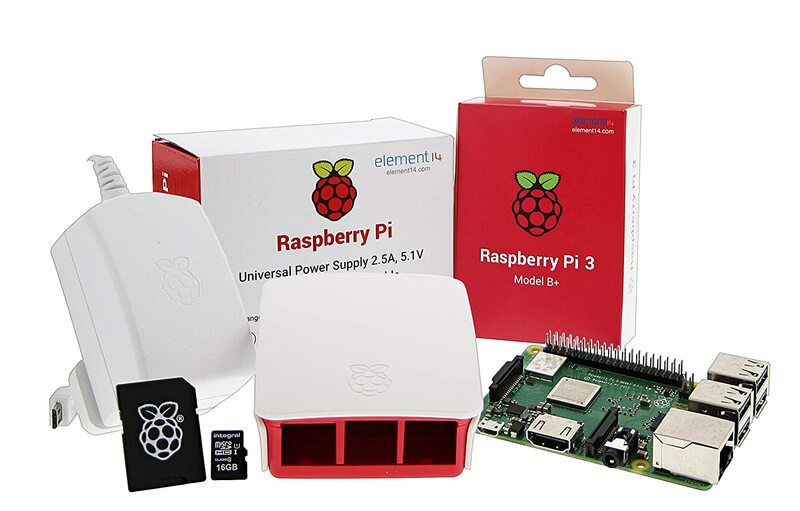 This is a comprehensive kit with the latest Raspberry Pi, official power supply (UK only), SD card ready to go, a practical case, solid keyboard, mouse, HDMI and ethernet cables. Personally I prefer the Pimoroni Coupé case but the keyboard is a bit better in this kit. 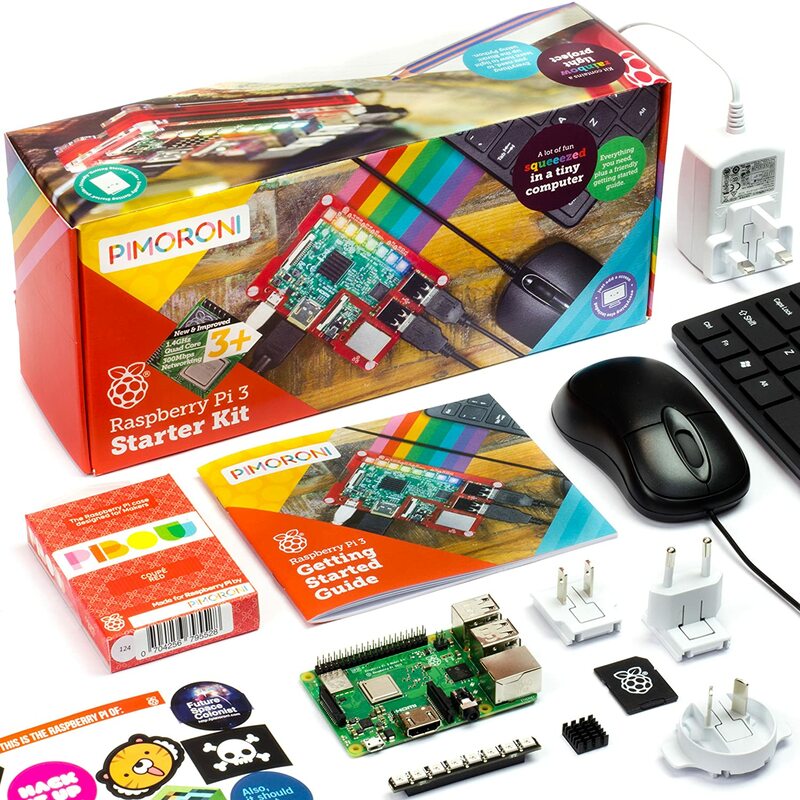 This kit is a bit less “wacky” and looks more serious than the Pimoroni kit, and it doesn’t come with a printed guide nor any addons such as the Blinkt. You can download the PDF of The Mag Pi’s “Getting Started Guide” here. Lots of people have spare keyboards, mice and HDMI cables, or you can buy a HDMI cable and mouse from Poundland and a cheap USB keyboard from Wilco. Make sure you get a PC keyboard and not a Mac one (Mac ones have an “Option” key near the bottom left; PC ones do not). Don’t forget you’ll also need a HDMI TV or monitor. This gives you the latest Raspberry Pi, the official power supply, the official case and a ready-to-go SD card. It doesn’t include a printed guide, but you can download the PDF of The Mag Pi’s “Getting Started Guide” here. If you’ve bought one of the above kits, you don’t need any of this stuff. This is more of a pick-and-mix list for people who want to buy items individually. This is the model you want. It’s quad-core and ideal for education and desktop use. It has four USB ports so you can easily attach a mouse, keyboard and have room for more gadgets. The 3B+ (plus) model is a slight upgrade from the non-Plus model; marginally faster processor, slightly better WiFi and slightly better network cable speed but the main thing is, it’s sold almost everywhere for the same price as the non-Plus model, so you’d be daft not to get the 3B+ . Unless, of course, you find the non-plus model for a bargain price (I bet you can’t). The 2B model is also quad-core but doesn’t have WiFi – you have to connect a network cable. The 2B has earned the light-hearted nickname “Raspberry Pi GCHQ Edition” due to its imagined suitability for places where you don’t want wireless internet (in reality more suited to industrial use), but it’s otherwise identical to the 3B and perfectly good for education and desktop use. Avoid the older B+ and B models (sometimes called 1B+ and 1B) as these are single-core and pretty slow, leading to a frustrating experience. My advice is to avoid the Zero and A/A+ models, unless you’re buying your second Raspberry Pi solely for use with electronics or webcam projects. The Zero is single-core, slow, hasn’t got much memory, has only one non-standard USB port, has a non-standard HDMI connector… Yes, I know the Zero is only ten pounds, I know it comes free with some magazines and books, but if it’s your first Raspberry Pi you will regret it. Keep the Zero in reserve for a subsequent birthday present for when you get into robotics or electronics. If you absolutely, positively have to buy a Zero, buy the Zero WH model which comes with WiFi and the GPIO pins already soldered on. The new Model 3A+ is a little easier to work with, it has the full quad-core processor the same as the 3B+, it has one full-sized USB port (so you can attach a keyboard, or a mouse, but not both), full-sized HDMI and audio ports, but like the Zero only has half a gigabyte of RAM. Again, this makes it unsuitable for use as a regular desktop computer for web browsing or teaching yourself to code. However, if you’re buying a present for someone who already has a desktop Raspberry Pi, and is looking at getting into electronics or webcam projects, then the Zero or 3A+ may be ideal. 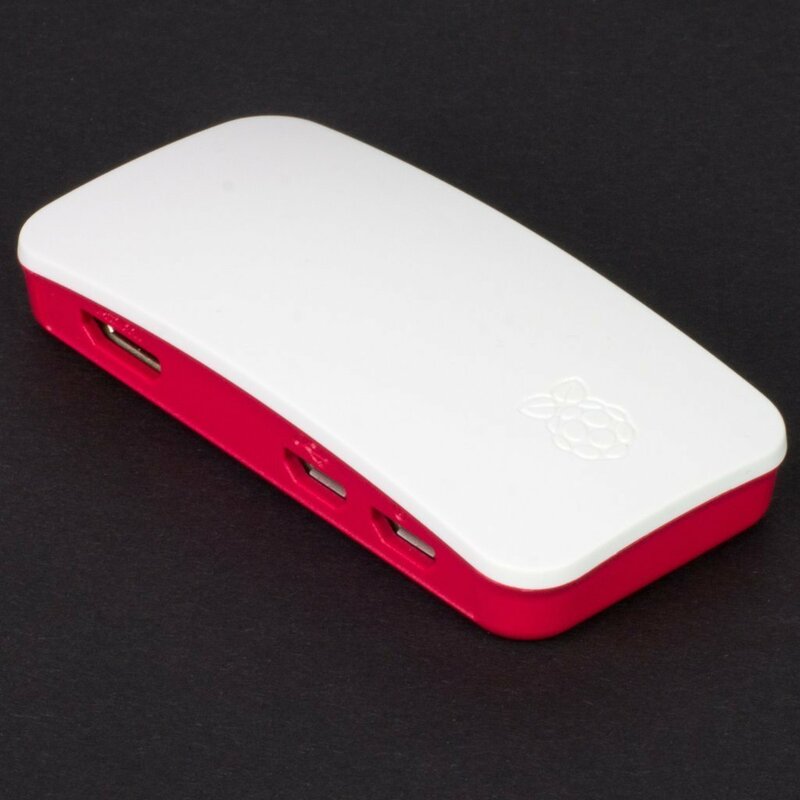 Buy the 3A+ from The Pi Hut or Mod My Pi for £23 or get it with a Coupé case from Pimoroni for £30, plus P&P. Buy the Zero WH from The Pi Hut or Mod My Pi for around £12 plus P&P. Absolutely do not pay more than £15. If your pal is good at soldering, consider the Zero W without the header from Mod My Pi or The Pi Hut for under £10 and make their day by buying the excellent Colour Coded GPIO Headers from The Pi Hut or Mod My Pi for £1.50 . A non-WiFi version of the Zero is also available for under £5 but in almost all cases you’ll want WiFi, so avoid those. Confusingly that model is simply called the Pi Zero (no W nor WH). This is the power supply you want. The vast majority of beginner’s problems with the Raspberry Pi come from trying to use the device with a cheap or second-hand power supply. Whilst the Pi Zero will cope quite well with lesser power supplies, the desktop 2 and 3 models need more oomph. There really is nothing else like the quality and reliability of the official power supply. Do not skimp on this. It’s available in white or black. I find the white one makes it easier to distinguish from other, lesser power supplies. The white one is easier to spot when another family member has stolen it after they have discovered that it charges their mobile phone faster. The Pimoroni Pibow Coupé is, in my opinion, the best case for Raspberry Pi desktop use. 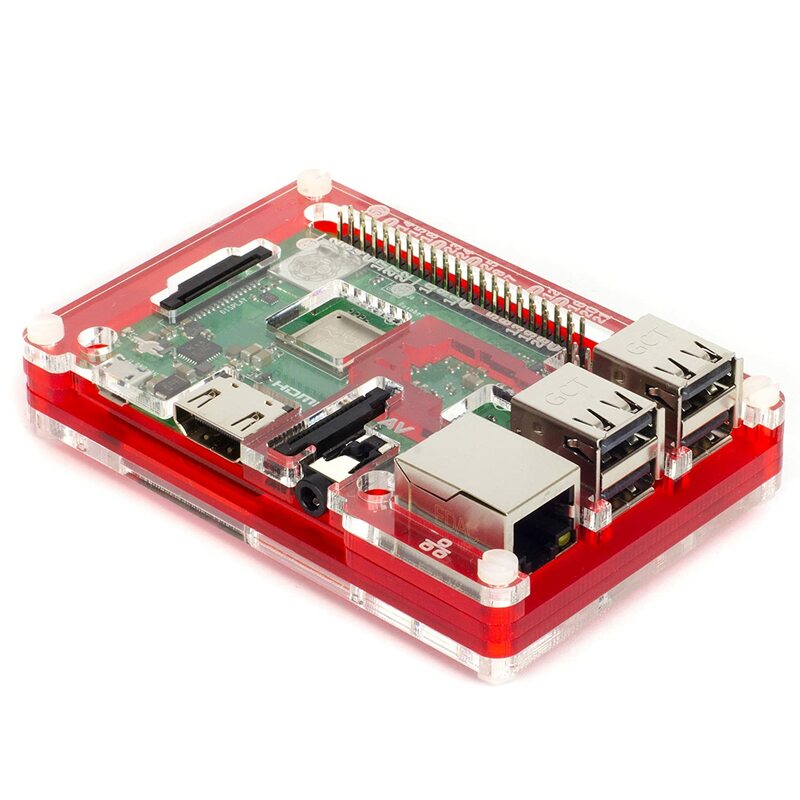 Once assembled it is solid, protects everything that needs protecting, leaves the hot-running chips open to fresh air, and most importantly the GPIO pins are immediately accessible and the case allows you to fit the vast majority of “HAT” addons without having to take the Pi out of the case. The only downside is that it requires assembly, and some of the layers are a little fragile until assembled. However anyone aged 8 or upwards should have no problem following the assembly instructions inside ten minutes, and I think that the assembly process builds engagement. Most importantly, the Pibow Coupé has the GPIO pin numbers etched onto the case. This makes electronics projects much, much simpler – I really can’t overstate this enough. The main alternative is the Official Raspberry Pi case. I don’t really rate that very highly; it’s fiddly to attach electronics GPIO pins, it’s difficult to fit many HAT add-ons, it has various cover attachments that I think will get separated and lost, and it doesn’t have the GPIO pins labelled. Where the official desktop case is an exercise in frustration, the official Zero case is an example of design brilliance. It comes with three lids which include options to access the GPIO pins or mount a camera. GPIO pins are also accessible from the rear so you can combine webcam and electronics projects. It also includes a mini cable for the camera, although the camera is sold separately. The only flaw is that the GPIO pins are not numbered, but I have yet to find a Zero case where they are. The Raspberry Pi does not have a hard drive, and instead uses Micro SD cards to store the operating system, programs and data. You can either buy a card with the software already installed, or you can buy an empty card and download the software on your PC or laptop. NOOBS (New Out-Of-Box Software) is the official starter software that all the official guides use. You can use it to easily install Raspbian Linux and other software. To be honest the Raspberry Pi doesn’t use much storage, so if you’re really low on funds, go for the 8 gigabyte one. Bear in mind that you may still need to update your software over the internet at some point; there are numerous guides online including our beginner’s guide to updating Raspberry Pi Raspbian software. A1 “app-rated” cards are particularly suited to running programs (A2 and A3 are even faster). Unlike SD cards designed for music and video where the data access is linear (the music or video starts, plays and finishes), programs tend to jump around – if you’ve clicked on this, do this, if you’ve clicked on that, do that etc. A1-rated cards are designed for faster random access like that. You’ll need to use your PC, laptop or Mac to download and install NOOBS on your blank SD card. Buy a 1-metre HDMI cable from Poundland. If you need a longer HDMI cable, buy from Amazon from £4.19 . Buy a USB keyboard from Wikinsons – make sure it’s a PC keyboard and not a Mac keyboard (Mac ones have an “Option” key near the bottom left; PC ones do not). Or get this Logitech K120 keyboard from Amazon for £8.96 which is lightweight whilst also having a full, proper layout. Avoid compact keyboards unless they come in a kit or you really, really need to save space (the Periboard 407B £15, also known as the Genius Luxmate i200, is my favourite compact keyboard). Don’t buy a wireless keyboard – nobody moves their keyboard around much and the batteries run out really fast. Buy a USB mouse from Poundland, or get this Amazon Basics USB Mouse for £4.98 . Wireless mice do make a lot more sense than wireless keyboards, but they’re very much a matter of preference; pop down to PC World where you can try some for size. Avoid Bluetooth mice as the batteries run out faster than other wireless mice, and Bluetooth can be tricky to set up. Make sure you get a PC mouse (two buttons plus a scroll wheel) and not a Mac mouse. Generally considered to be the definitive Raspberry Pi book for anyone aged 8 to adult. It covers setup, using the software provided with Raspbian, introduces programming in Scratch and Python, introduces basic electronics, it’s brilliant. 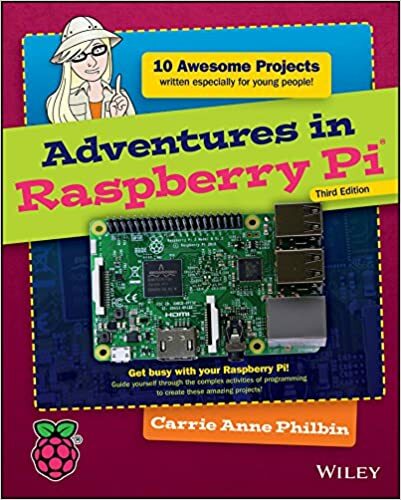 This is a great book and includes a “Newbies” section that introduces the Pi and how to set it up, then provides lots of tutorials and inspiration for things to do. You absolutely do not need the previous volumes (although do grab them if you see them cheap). Don’t. 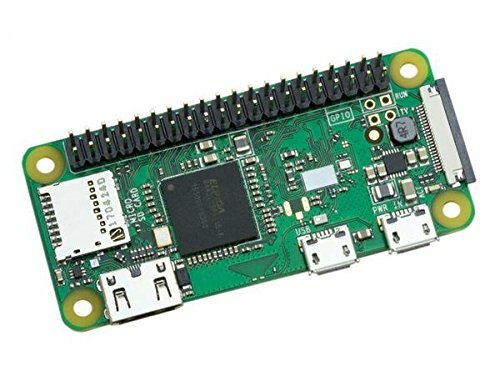 The temptation is to buy this, thinking that it comes with a Raspberry Pi Zero, and then not to bother buying a Raspberry Pi Model 3B/3B+ . I know the “Official Raspberry Pi Beginner’s Book” looks like great value, and the bookazine itself is extremely good, but if your first experience of Raspberry Pi is a model Zero then you are going to get pretty frustrated pretty fast. Sure, buy it as a really good book that happens to have a free Pi Zero attached, but please make sure you already have a model 3B+ or 3B. £25 ish. Instead, subscribe to a year of The Mag Pi magazine – you’ll get a free Pi Zero there too. There are may Raspberry Pi magazines, and to be honest they’re all pretty good. The official one is called The Mag Pi, and if you buy a year’s subscription in advance they’ll send you a free Raspberry Pi Zero with case and cables. 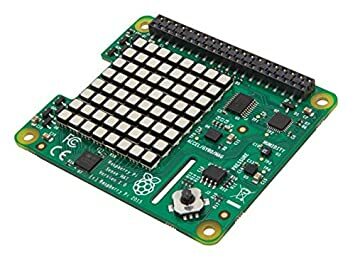 However, bear in mind that the Zero is really not suitable for beginners – if you want the magazine, get it as well as buying a Raspberry Pi 3B+, not instead of, which is perhaps an argument for buying a quarterly subscription if you’re a newbie, maybe upgrade to a full year with free Zero once you’ve found your feet. As with any official magazine, Mag Pi suffers a little from lacking independence and its reviews are uncannily favourable where perhaps a little more criticism might have helped. However this is outweighed by, in my view, better interviews, first scoops of the latest news, deeper behind-the-scenes features and articles from Foundation staffers that accompany the latest official projects such as the Astro Pi International Space Station programme. Bear in mind that you can read The Mag Pi online for free as a PDF from the Mag Pi website, however the extensive use of colour backgrounds makes it unsuitable for printing at home. The official 8 megapixel camera produces superb photos and video, equivalent to a high-end smartphone. However it is a little pricey compared to the numerous third-party 5-megapixel alternatives that produce more than good-enough photos and video. 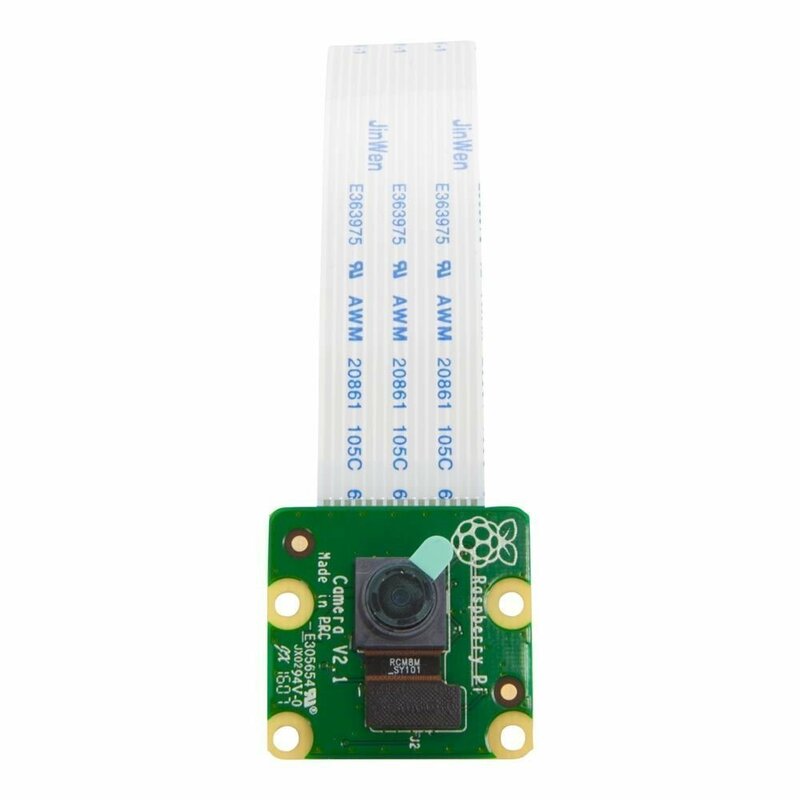 All of these cameras that use flat flexible cables are compatible with the Raspberry Pi and use the same software and same programming commands. If you want the best of the best, perhaps you’re planning to build a wildlife camera and submit your photos for print or publication, by all means get the official 8 megapixel camera, you won’t be disappointed. But if you just want to mess about with a webcam, you’ll almost certainly be content with a cheapo third-party 5Mpx knock-off. Both the 8 and 5 megapixel cameras are available in “NOIR” versions that are suitable for night vision infrared photos. Avoid these unless you really know what you’re doing; for starters you’ll need an infrared light source – it won’t work in the dark on its own, and in daylight it’ll take some very odd black-and-white photos. The camera is provided as a circuitboard and a flat cable. Many people build holders out of Blu-Tak or Lego. You can buy a basic tripod mount which works with standard tripod fittings, including the cheap mini tripods available in Poundland. If you don’t have a Poundland nearby, there’s this cheap mini tripod. If you’re trying to build a webcam, I suggest getting a Pi Zero, a cheap 5Mpix camera, the official Pi Zero case and one of those cheap smartphone camera tripods from Poundland. But that’s probably not a project for a beginner; start with the desktop Pi 3B+. 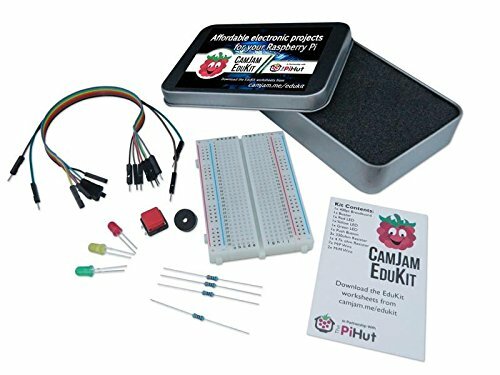 The CamJam Edukit is a brilliant series of electronics components kits aimed at beginners. This first kit provides a breadboard, wires, LED lights, a button and a buzzer, together with downloadable instructions teaching you how to program it. Kit #2 introduces temperature and motion sensors. Kit #3 gives you everything you need to make a wheeled robot. The Unicorn HAT gives you a grid of 64 coloured lights. You can create programs to set the lights in any colour in some lovely sequences. Pimoroni provide excellent instructions for using the Unicorn HAT. There are also Pi Zero and HD variants of the Unicorn HAT to accommodate different sizes and budgets. 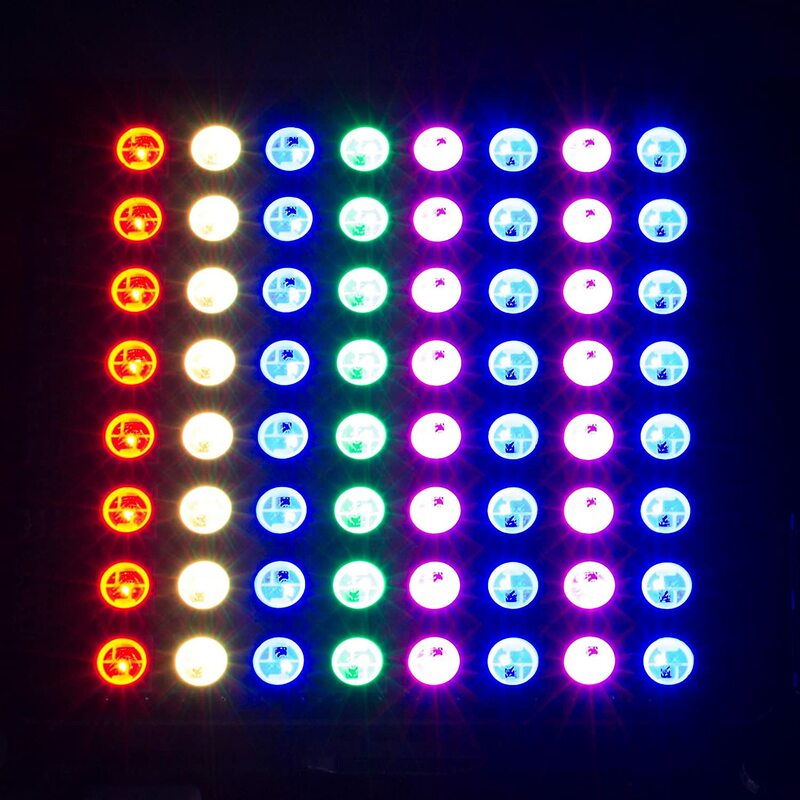 The Pimoroni Blinkt add-on is a single row of 8 coloured lights from £5+2.50P&P. The Sense HAT is an add-on which includes a grid of coloured lights, plus numerous sensors: temperature, humidity, air pressure and movement. It’s the same add-on as used on the two Raspberry Pis on board the International Space Station, and will allow you to run programs which are part of the Astro Pi programme. 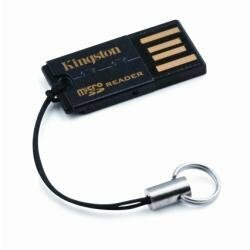 The Kingston FCR-MRG2 is an extremely small and cheap USB2.0 that is solidly reliable, and consistently fast. Sure, it isn’t as fast as a USB3 card reader might be, but for the foreseeable future, Micro SD cards aren’t going to be much faster than USB2’s maximum speed anyway. It’s tiny size makes it easy to carry around on your keyring or in an accessories bag (or attached to a Dimecard, below), and being so cheap, you can have one at home, one at work or school, and one for your on-the-road kit. 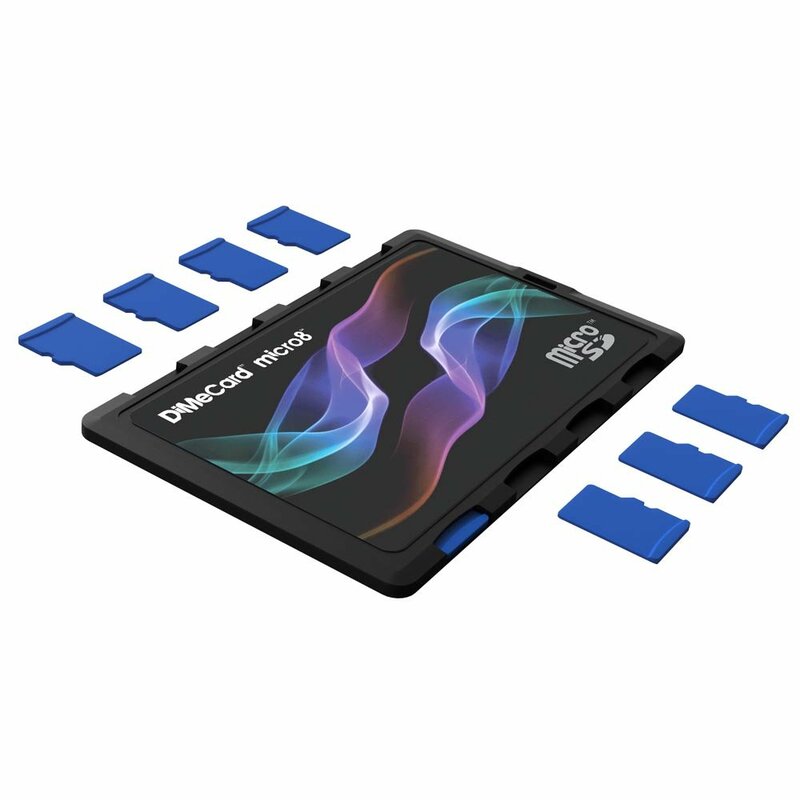 A credit-card sized holder that firmly holds 8 micro SD memory cards. Also has a hole for a key fob, so you could attach the Kingston memory card reader to it. Whiteboard-like erasable space next to each card, so you can make a note of which card has what. Once you’ve had a few weeks to play with your new Raspberry Pi, I strongly recommend that you go along to your nearest Raspberry Jam, an international network of independent enthusiast clubs, many of which have tutorials and workshops where you can create some amazing projects with your Pi. Find a Raspberry Jam near you. Prices were correct at the time of publication 7 November 2018. Some of the links on this page will earn a small amount of money for Cotswold Jam, the club I run in Gloucestershire UK, which we’ll spend only on educating children about computing and electronics, but rest assured that I haven’t included links to anything particularly more expensive than you could get elsewhere.